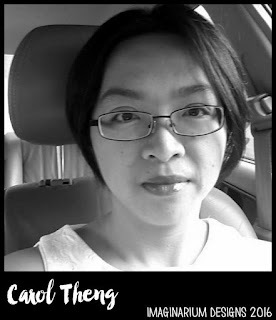 Carol's Paperie: "Never Grow Up" My "Gorgeous...."!! Hello everyone. 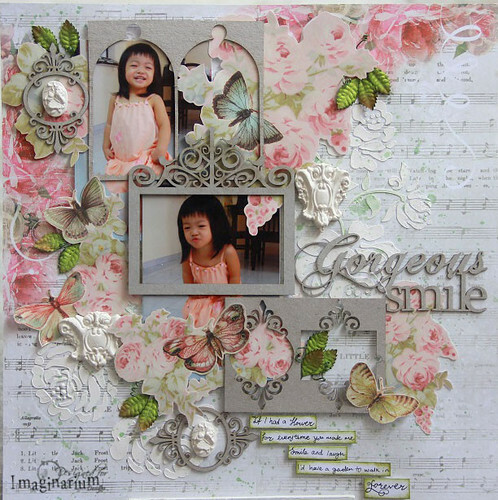 Want to share 2 layouts I made for Imaginarium Designs, using their yummy chipboards. How sweet my kids are in this photo. Love that they did not have any sibling rivalry at all. And how accepting and welcoming my girl is towards her little brother. Love using raw chipboards, both negative and positive. So easy to layer and put together to create interesting and eye catching backgrounds or elements. I love this photo of my girl. She looks so sweet and pretty in this lovely dress. And love her smile. Here I used the negative chipboards as frames. Wanted to create a soft floral garden feel. The clay elements are made from scratch with Prima molds and clay. Love!! Do hop over to Imaginarium Designs to look at more details of my projects. 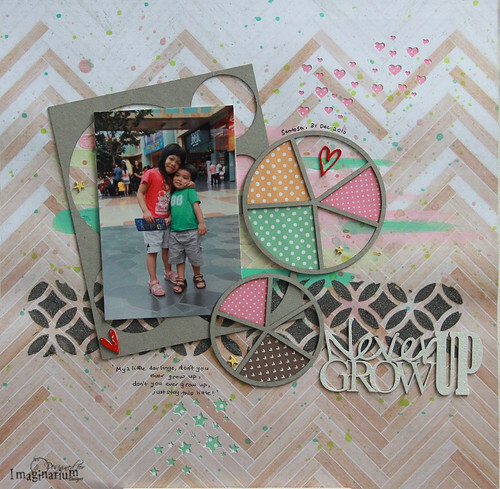 And do leave a comment to win a pack of chipboards from Imaginarium Designs. Have fun!